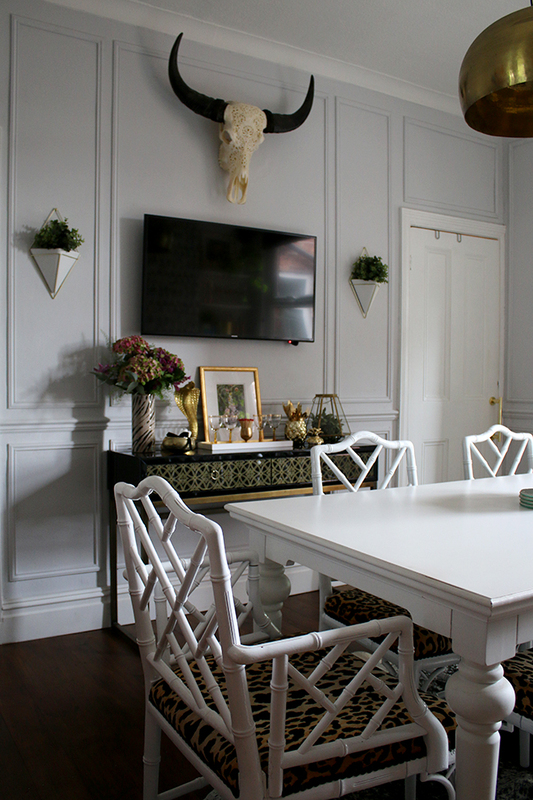 So first I have to say I have been blown away by the response on my dining room reveal. Honestly, my head was in the clouds all day yesterday reading your comments on the blog and across social media! I’m so excited you seem to like it! I know my tastes are a little bit ‘out there’ and of course, as it’s my own home, I decorate in the way that I love but to find so many of you like it too, well, it’s just so lovely because you clearly all have great taste too – ha!! Seriously, though, a huge thank you for the kind words, it really means the world to me! Today, I am sharing all of the sources of pretty much everything in the room. If I missed something, please just let me know in the comments and I can get that updated. I’m also doing a giveaway, not sponsored by anyone, just because I wanted to! And it’ll be really easy to enter plus it’s open internationally because I know lots of my readers aren’t located in the UK and it would seem unfair for me to just limit it to the country I live in. So let’s do the sources first and then I’ll tell you how you can win one of the gorgeous prints I have in the room! *This post may contain a few affiliate links indicated by an asterisk. 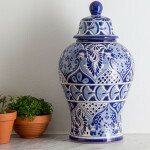 You won’t pay any more but I may earn a few pennies towards new pretties for the house! Win win! Right, are we ready for the giveaway? 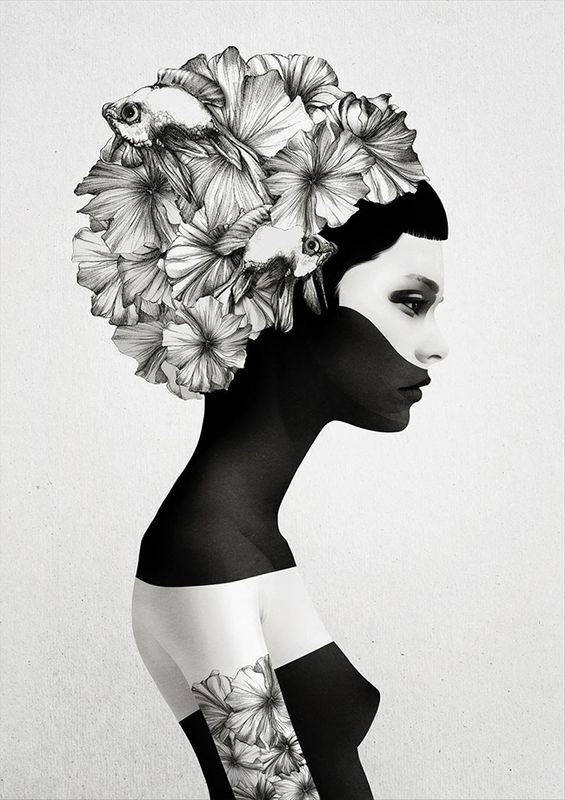 WIN MARIANA PRINT BY RUBEN IRELAND AND JENNY LIZ ROME! Thanks to all the participants and their fabulous answers! Congratulations to MICHELLE who has won the print! I’ll be in touch via email soon! Please note, the print you receive will not be framed, it will be rolled in a tube for you to frame any way you like! The print size is 17″ x 22″ with a 1″ border for framing. Subscribe to my email notifications. (I promise I won’t spam you or share your email with anyone.) In return, every one who signs up receives my 10 Tips on Creating an Eclectic Boho Glam Look on a Budget just for signing up! If you are already subscribed, you can skip this step! And remember, you’ll receive a confirmation email that you’ll need to click on to set up the subscription so if you don’t see that come through, check your spam folder. Leave a comment telling me first, what you like about Swoon Worthy and second, one thing you’d like to see more of in the future. Competition ends at midnight GMT on 6th June 2016 and winner will be announced on 7th June 2016. I am in love with your dining room make over, it is so perfectly you! I think I love seeing things like this the most on Swoon Worthy, but the process of how you got here, not just the finished project, but the jobs you undertook to get the results (like in your bathroom renovation too). I think I would also like to see some more of these type of things on here – I can’t wait to see your kitchen get done! But smaller quicker maker overs would be great to see too, to keep us going in between the bigger pieces! Well done on the dining room, enjoy it. 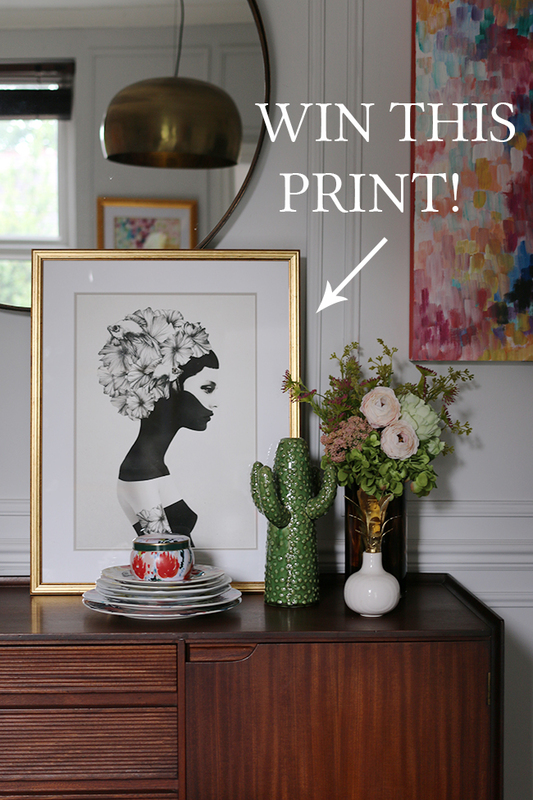 And thank you for the chance to win this stunning print! Oooh, what do I like about thee oh great and wonderful Swoonworthy? Your humour, you’re like a breath of fresh air so open and friendly and giving. Whether it’s hints and tips or style advice you are just pretty AHmazing. I love your eclectic style and how you pull everything together from well thought out splurges and how to DIY your own, to budget hacks and vintage finds. You never cease to wow and inspire me. You give me the confidence to inject more colour, style and my inner me into my previously ‘beige’ existence. What one thing do I want to see more of? I can’t think of anything that you don’t already cover. I suppose more collections of ideas and styles ‘mood board’ style (I’ve seen you do them before) of things that you maybe like but haven’t got enough rooms for, or decor ideas around something that’s caught your eye. Hope that makes sense. I love your bold use of color and unique eclectic design. Your style is similar to mine, but takes it up a level. Therefore, you inspire me to be more daring in my design. I would like to see more of the process as to how you got to the end result. Do you do the work yourself? 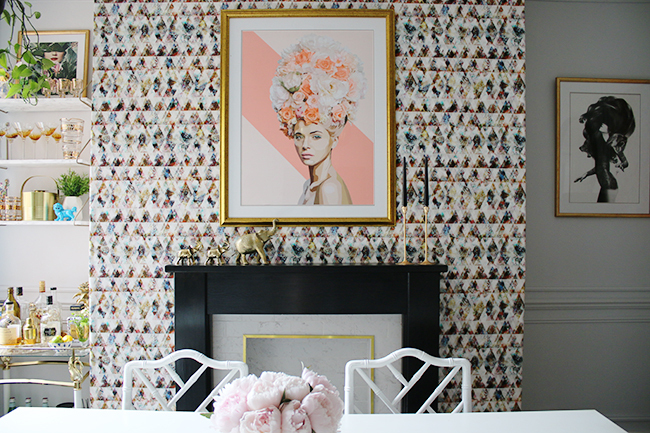 If so, how do you put up wallpaper with a design like that in your dining room and match it up properly? Have you ever loved a certain combination of things, but you thought no one else really vibed with you. That is how I felt about my decor style until I stumbled across your blog. It is so refreshing to see so much color in your home and so much femininity mixed with fierce edginess. I. Cannot. Get. Enough. I’m only here for the design aspect of things, the fabulous visuals but your fun writing skills are a nice bonus. I love your humour. I love how you can’t live with a perfectly functioning and ‘nicely’ decorated room so you tear it up and create a perfectly functioning space that’s no longer boringly nice but seriously beautiful. I love a good ‘before and after'(I know they take time) so keep ’em coming. That’s what I love. Encore, encore. 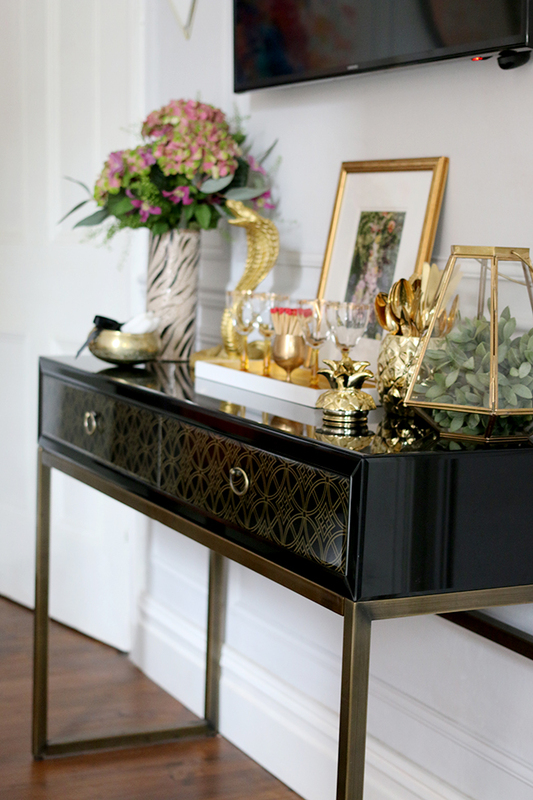 but I also love a good quick fix, like boring old tea cart into fabulous gold sparkling drinks trolley. Thanks for all fabulousness Kimberly. Keep it up. I love visiting your blog. My daughter and I are working on her first apartment, and your glam, boho style is our touchstone. We’re only working with 500 square feet, but have incorporated so many ideas from your photos. She has a non-working fireplace in her bedroom, and this print would be amazing above the mantle as a statement piece. Looking forward to more inspiration from you! I found it really useful to know where you got the various items – some of the shops are ones I’d not hear of, while others are not places I would have thought to look for furnishings / decor. 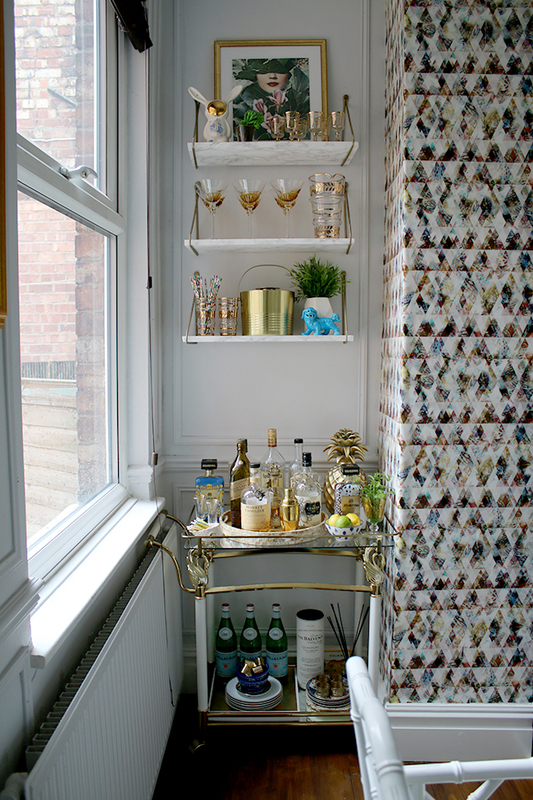 I love the little shelves above your bar cart – I must try this as the shelf supports look so much nicer than angle brackets. I love your style! It feels so luxurious. And I loved how this post made the luxury achievable because of all the sources. I think you should do more of that in the future. I don’t even remember how I found your blog many months ago but I am so glad that I did! I think i first feel in love with your dark black wall bedroom and eclectic style. Right up my alley!! I would love to see more diy posts and where you source your finds. Would also love to see how you can Re create the looks for less. Great blog! Love reading it all the way from America!!! I absolutely love that your style is so different to a lot of other blogs I follow. Completely the opposite to the whole ‘minimalist’ trend (although mixing the two in my own place is interesting!!). been very envious of that print for a while!! I firstly love your style and how it has helped influence my own. Also, the way your home is constantly evolving, I really love to see the changes you make whether it be a complete room makeover like the dining room (which is AMAZING!!) or styling posts where you switch things around. I’d like to see more styling posts with some tips, either using what you have or showing off any new home collections. Hi Kimberly, I have just discovered your site after swooning over your bedroom image on Pinterest. I knew straight away you were from the States as almost everyone else I follow on Pinterest shares your style. Imagine my surprise when I realised you live in the North West of the UK, like me!!!!! To finally find all the stuff I love but with someone who can tell me where to source it in the UK is Amazeballs!!! I have been renovating my house for a couple of years and have given in a few times and ordered directly from the US as it is almost impossible to find the midcentury modern stuff here, unless on ridiculously expensive vintage websites. Keep up the good work, and I look forward to more inspiration, insights and sources!! I always look out for your blogposts every week I receive your email during my working day but ‘save’ it to savour and devour it in the evening when I get home from a stressful day! I love your unique style and the fact that you live in an ordinary house that you have transformed into an extraordinary home. I always wonder where your house is (not that I’m stalking you) it’s just that I too live in Cheadle Heath. It’s amazing to think all your creativity is happening right under my nose!!! As to what I’d like to see more of its just about right as it is. OMG!!! This dining room is what I have dreamed for my own one! I wish you can give me some advices how to decorate my home. I loooooove so much your style! Every single item, every diy you make it is like you have read my wish list. But I do not have your skills so the only thing I can do is to admire your work!!! Love the integrity of the blog – reads very honestly, with full disclosures and unique ‘voice’ as well as style – rare combination! Would like to see more about outdoor spaces this summer, as well as using plants in interiors. *sigh* it’s so pretty!! You and Wayne have worked so hard on this project. What a dream it’s turned into! 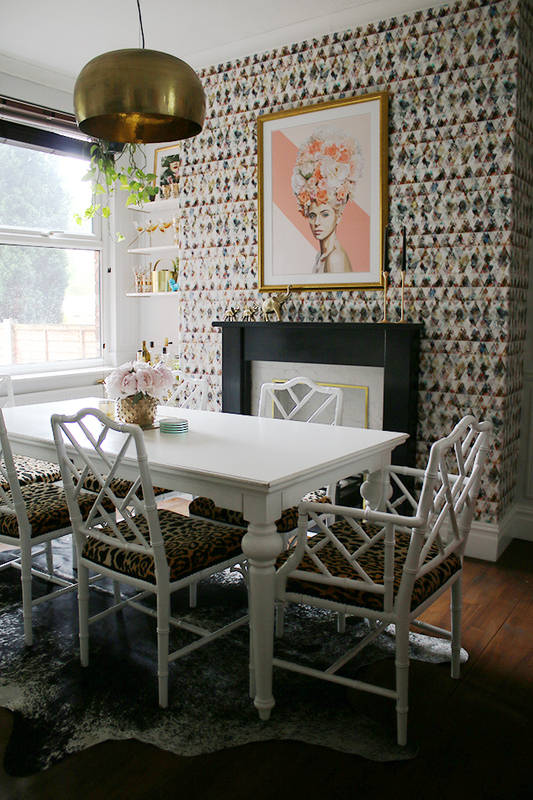 Your dining room is just the bomb and the print is bam! I love your glam fun style and wit and appreciate you sharing your DIY´s and sources and would like you to keep on sharing those. 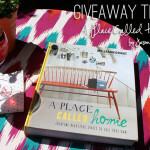 I love your house, your style, your pictures, your writing! It’s just fun to be along for your ride :) The only thing that I would love is a house layout/floorplan. Sometimes I try to figure out in my mind what it where. Even a “walk through” with your video camera would help me visualize the flow. Otherwise whatever you throw my way is wonderful! So fun to see what you come up with next and how it will inspire me to do something in my own house. Never the same thing that you have done, but always something that was inspired by what you did. Smooches! There’s no one single thing that I don’t like about your blog, your home….it’s just amazing! I just subscribed to your blog and I’m in awed of so many beautiful things in one place. You’re so super talented and I just can’t wait to see what else you re-do, decorate, DIY or just move around. Keep it coming, can’t get enough. Kimberley, your dining room is just stunning. Posting pictures throughout the process has been brilliant in showing how the final look came together. One thing I would like to see is what didn’t work, as in say, your beautiful vignettes. What did you try before deciding on the final composition and importantly, why didn’t they work. A kind of ‘close but no cigar’ blog section would really help people like me, I think. Thanks so much in the meantime for the inspiration. I stumbled upon your Instagram which led me to your site and really I should be asleep since it’s almost midnight here in California, but your style/decor is seriously swoon worthy. You had me at eclectic boho glam! as for what I’d like to see…if you had any Diy projects or tips/tricks when it comes to decorating. How do I love thee? Let me count the ways… I love your sheer honesty about everything, from your fearless style to the unglamorous side of decorating and any mistakes you learn from. I love that you’re not worried about being PC and not afraid to say what you think. I respect you hugely for all that! And of course, I love how much interior inspiration you provide! It is immense! It’s hard to say what I’d like more of, because I think you’re doing an absolutely sterling job with all your creative inspirations, tutorials and real life behind the scenes. 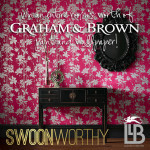 Swoon Worthy is my favourite blog :-) If I had to say something, then perhaps more posts on creating different types of looks or colour schemes, not necessarily in your own home (I don’t want to ask you to create even more work for yourself, unless you want to, lol) but perhaps moodboards, with sources. Thank you for the comprehensive source list, and for the AMAZING giveaway! I love the Mariana print!! Love your website! Sometime do a post on your house’s floor plan. I always try to envision how the rooms line up when you post pictures but can’t figure it out. I love the bold choices you make in your home and the eclectic style! While my husband and I’s taste is different, I’ll call it global instead of glam, we are very eclectic with mixing. I can always get great ideas from you and how to look at things from a different, unexpected perspective. What I want to see more of… more tutorials. I love to DIY and can’t always afford to buy the items you post about (and honestly, I mean this in a non-offensive way, neither can you often times, they are gifted). I would love to hear more about thrifting and DIYing! 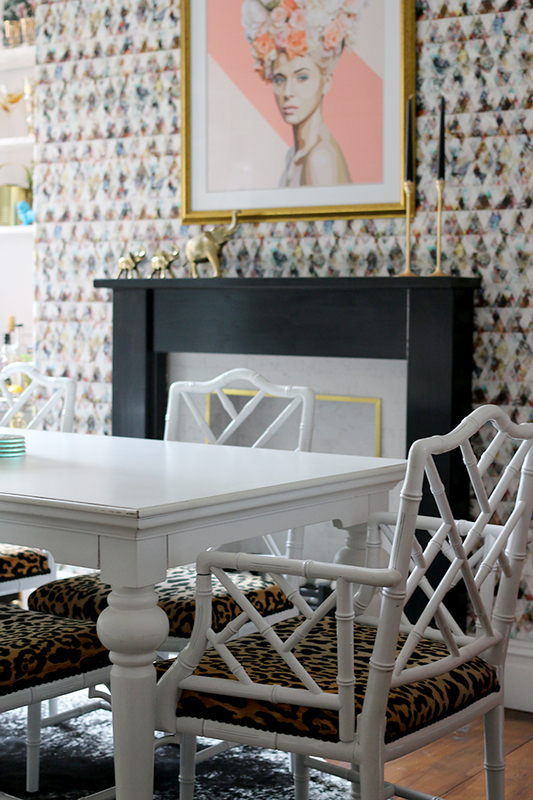 Thanks for the great dining room reveal… I’ll try not to rip my dining room apart now! What I love about Swoon Worthy is the inspiration it gives to design amateurs like me to create own home rather than buy ready made in the high street. What I would like to see more in the future- maybe more DIY tricks of the trade. How to transform ordinary lampshade into designer piece etc. I subscribed to your blog a while ago and enjoy dipping in occasionally. Your dining room makeover is both extraordinary and wonderful. Somehow, the eclectic mix of stylish and interesting pieces works brilliantly. I like the touches of gold here and there. More completed makeovers and giveaways would be appreciated. 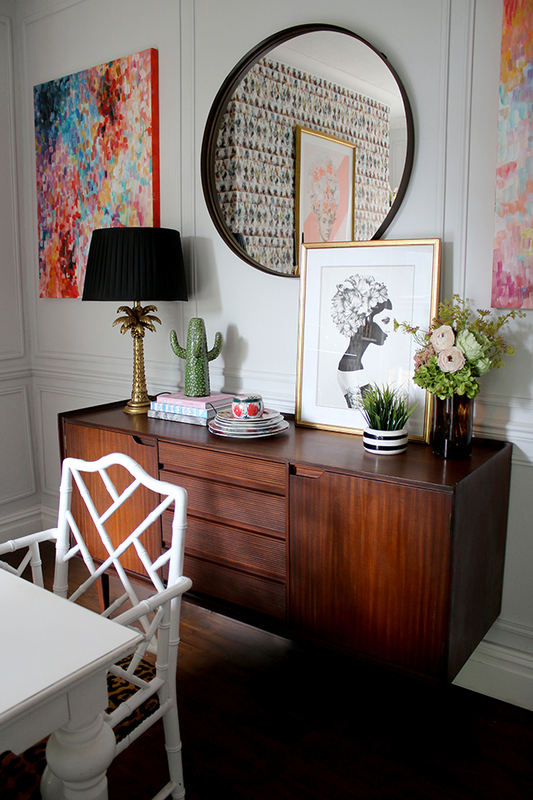 Hi there, love your blog and your new dining room! I’ve got a question about the mirror if you don’t mind. I bought the same mirror a few months ago but was surprised when I took it out of the box recently at the visible hanging rings on the sides. How did you hang your mirror without them being so obvious? 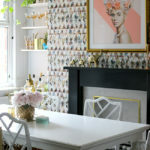 Only just stumbled across this blog whilst researching feature wall paper and your citrus cow parsley living room came up (think this was a few years ago now by the looks of it!). I have long velvet turquoise curtains so thinking the cow parsley will look fab thanks to your inspiring style. Also love the touches of animal print here and there. Your fur babies are cute ? More ‘how to’s’ would be good. And totes love the choice of artwork in the dining room! I first started reading your online blog nearly 2 years ago now when I bought my first house with my ex boyfriend! We bought a 70s house which was very very 70’s and needed bringing back into this era so we had a project on our hands! I saw your dressing room posts and I was desperate to turn the small bedroom into my own wardrobe/dressing room so I slowly started buying things for it, wallpaper, chest of drawers, wardrobes, decorative jewelry stands! I kept my stance that I wanted that room done asap, but alas the decorating never got done and the rolls of wallpaper are still rolled up, and the furniture remains in all its flat-pack glory! The whole house was never finished, infant! Then, Things went sour, we broke up, he kept the house, mortgage battles, arguments, you name it! But! I am now off that mortgage and have only just completed buying a house on my own! A lovely big 1930s house with picture rails and high ceilings and not in need of any building work and renovation! So it was lucky I never did decorate that small bedroom! Because I’ve now got everything ready to go for my new wardrobe room in the smallest room in my new house!! I’m currently giving the whole house a lick of paint and then it will be wallpaper and flat-pack furniture time!!! Finally I’ll get a wardrobe room after being so inspired by yours! I love the How To’s and it would be good to see even more of these. Your dining room is fantastic – and please, less pop ups :( If you want lots of people to follow your blog, twitter, FB etc then do lots of Rafflecopter / Gleam competitions.